Daily notes on life in a Lithuanian artist’s community by Jodi Rose, Artist in Residence, Nida Art Colony 2011. In the framework of T.R.A.C.E.S. Transcultural Research Artist Curator Exchange Series and Inter-Format Symposium 2011, Nida Art Colony & Vilnius Academy of the Arts. Welcome to the non-stop event shifting from performance to lecture to basketball game to sauna broadcast to performative discussion to artists guided site/sight/seeing to discursive dinner to role play to interactive buffet to screening to imaginary cartography to workshop to tea ritual to slow reading to sonic massage to knowledge sharing to book launch to critical sauna to guided orientation to conceptual sentiments. Nida is known as a charming resort on the Baltic Sea coast – our intention is to re-brand it as a site for reinvention of interdisciplinarity between art & research & science. The symposium is hosting 40 artists, curators, researchers and practitioners to reinvent the format of presenting and sharing art, knowledge and experience. One of the key features of contemporary culture is the changing role of the artist, who sometimes assumes the role of a researcher and curator, and vice versa. Where are the borders of these roles? How could a serious researcher and theorist do a performance, and how could a playful artist do serious research and theorize? Symposium is part of the T-R-A-C-E-S.net project, organized together with Transcultures (Mons, BE) and IRZU (Ljubljana, Slovenia). TRACES is supported by European Commission (DG EAC- Programme Culture 2007-2013), Pro Helvetia (Swiss Arts Council), Lithuanian Culture Support Foundation. Radio signals are collected from the seaside at Nida on Easter Saturday, 23rd April between 8-8:30am, mixed with “Musique du Pont Volant“ (Flying Bridge) and featuring the voice of La Pasionaria. Signals recorded and composition played back at the seaside location of Welcome to Bridgeland! The radio becomes a bridge across the Baltic and out to the rest of the world Nida in a symbolic opening of the Curonian Spit as part of Bridgeland. Bridgeland is a conceptual utopia on every bridge around the world. Bridgeland transcends the outlines of geography. Bridgeland is a state of mind, the bridge transports you to another reality. You are already in Bridgeland. Bridgeland is infinite possibility. Bridgeland is anything you can imagine. Bridgeland is singing. Bridgeland is dancing. Bridgeland is freedom. Bridgeland is yes. Welcome to Bridgeland! event included a ceremonial flag-raising and champagne corks popping to open the Curonian Spit as part of Bridgeland, impromptu dancing to ‘light my fire’ radio program made by Justin Tyler Tate for broadcast on Neringa.FM, a specially created Error Collective mobile sauna with steam-punk stove installed on the beach and walking across hot coals conducted by Ernest Truely. Welcome to Bridgeland! Ceremonial Opening first took place on South Portland St Suspension Bridge, Glasgow Commissioned by Lowsalt Gallery for Glasgow International Visual Arts Festival 2010. The silhouette of Dolores Ibarruri originates from a statue of her next to the bridge in Glasgow. La Pasionaria has become the icon of Bridgeland (variously interpreted as rabbit, devil, moose, and an ancient Finnish symbol) transferred to Nida. Singing Bridges is an urban sonic sculpture on a global scale. Listening to the sound of bridge cables, the voice of each bridge is heard as an instrument for an expanded urban musical experience. Every bridge is connected to all other bridges through the vibrations in their structure. Echoing the telecommunications wires circling the earth, transmitting and receiving messages, codes and signals to stretch the boundaries of art and technology across geographical and architectural borders into a new acoustic form. Opening a space between where we live and where we dream, suspended across the threshold into another state… ‘The city is our temple, electronic networks our religion and the sound of the bridge cables is the voice of the divine.’ The culmination of Singing Bridges is the Global Bridge Symphony, linking the music of bridges internationally in a live performance taking place in and from multiple locations. 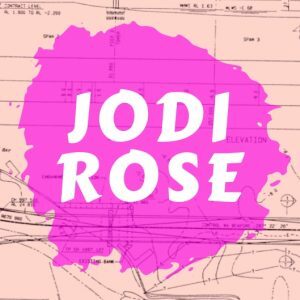 JodiRose is a Berlin based artist who embraces the philosophies of Fluxus and a lived experiential practice; collaborating with chance, playfulness and simplicity in her life, art and writing. During her travels to create music from the sound of bridges around the world, she has found herself recording in the snow under a bridge in Ljubljana; dangling from a crane on a bridge in Bangkok; initiating and mediating T.R.A.C.E.S and wearing a beard while immersed in an artists colony in Lithuania. Life is art and sometimes there is no ‘everyday’.